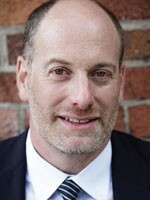 David Lilienstein practices at The DL Law Group, a San-Francisco firm specializing in insurance bad faith and ERISA litigation. The firm litigates all aspects of insurance law, but primarily in the areas of disability, health care and long-term care insurance, and on both individual claims and class actions. Mr. Lilienstein, along with his DL Law Group partner, Alice J. Wolfson, were on the trial team that won a $9 million verdict in Hangarter v. Provident Insurance Company. Unum Group: Is everything old, new again?